For women experiencing menopausal-related hot flushes (called hot flashes in the States), natural dietary remedies, without the side-effects 1 of the pharmaceutical alternatives, would be a pretty good option. But do such things exist? We’ll look for an answer by reviewing recent research and digesting the views of some respected doctors. A 2014 randomised, double-blind, placebo-controlled pilot study 2 96 women aged 40 to 60 years who had at least one menopausal symptom, were given either a low-dose or high-dose of grape seed extract tablets or a placebo for 8 weeks. Their menopausal symptoms, body composition and cardiovascular parameters were then measured after 4 and 8 weeks. 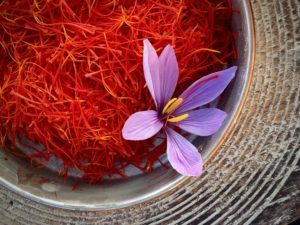 A 2018 double-blind, randomised, placebo-controlled trial 5 expressed concerns about the side-effects of hormone therapy, and thus looked at the efficacy and safety of saffron (stigma of Crocus sativus) in treatment of major depressive disorder associated with post-menopausal hot flashes. Sixty women with post-menopausal hot flushes were randomly selected to receive either saffron (30 mg/day, 15 mg twice per day) or a placebo for a period of 6 weeks. Hot flush and depression ratings were taken at baseline and at the second, fourth, and sixth weeks of the study. 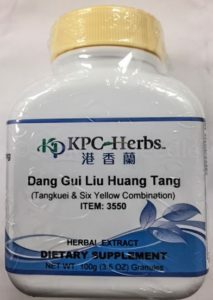 Danggui Liuhuang (DLH) decoction 6 is a traditional herbal medicine widely used in East Asia to treat menopausal symptoms. Studies appear to show that DLH decoction has immunomodulatory 11 and anti-inflammatory effects 12 . 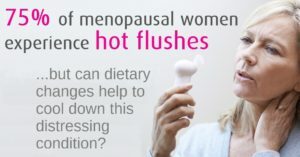 Although I can’t get hold of any studies on its relationship to hot flushes, a systematic review 13 is currently planned that will summarise and critically assess evidence from randomised controlled trials that have investigated the use of DLH decoction for the treatment of menopausal symptoms. 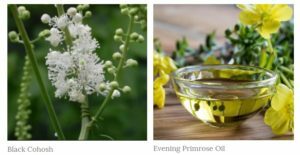 A 2018 comparative study 14 compared the efficacy of black cohosh (cimicifuga racemosa, also known as black bugbane, back snakeroot, fairy candle) 15 and evening primrose oil (EPO) in postmenopausal women with menopause-related symptoms. Both of these are easily available at health food stores, etc. 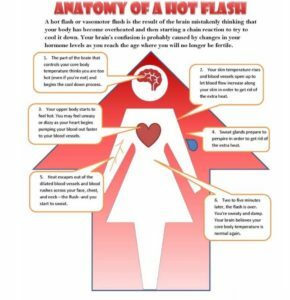 This study was performed on 80 postmenopausal women with hot flashes. The participants were randomly divided into two groups: one group received black cohosh and the other group received EPO for 8 weeks. The severity and number of hot flushes and quality of life were measured and analysed. A 2009 randomised controlled trial 16 found that compared with placebo, black cohosh did not reduce the number of vasomotor (hot flush) symptoms. 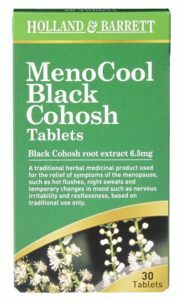 There are, however, conflicting reports about the safety of black cohosh for menopausal symptoms. The latter study 16 concluded: “Safety monitoring indicated that chemically and biologically standardized extracts of black cohosh…were safe during daily administration for 12 months.” A July 2008 study 17 concluded: “The efficacy of black cohosh as a treatment for menopausal symptoms is uncertain and further rigorous trials seem warranted.” A further November 2008 study 18 concluded: “…black cohosh has been associated with serious safety concerns that urgently require further investigation.” On the other hand, a 2018 study 19 pointed out some positive results of its use with no side effects in subjects at the end of the 12th month of monitoring. It does, however, also mention cases of liver damage as a result of its use. 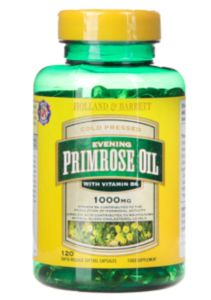 In relation to evening primrose oil, there are some reports 20 of mild side-effects (such as headache and stomach upset) as well as negative interactions when individuals are taking anticoagulant, antiplatelet, anti-schizophrenia, or anti-psychotic medications 21 . 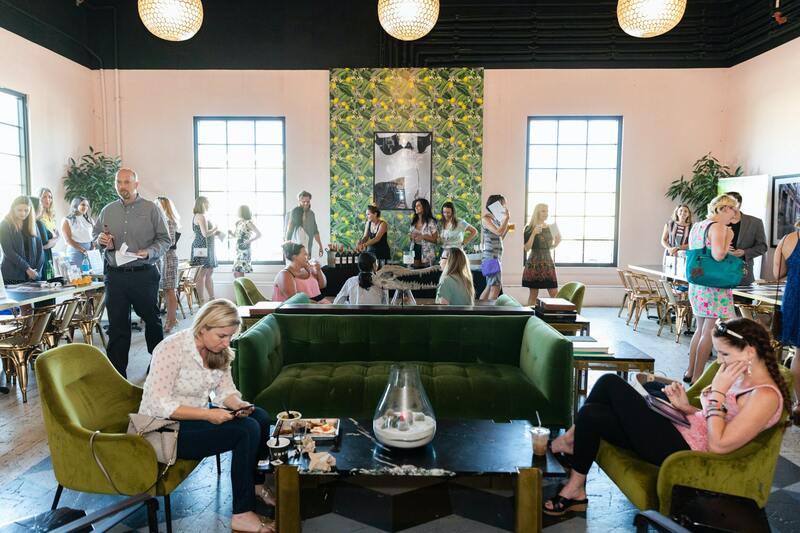 It was once associated with epileptic seizures, but a 2007 study 22 concluded that there never was no such association and the earlier studies implying an association were flawed. The latter study also looked at the effect of hypericum perforatum (St John’s-wort) and vitex agnus-castus (lilac, also called vitex, chaste tree, chasteberry, Abraham’s balm, lilac chastetree, or monk’s pepper) and found that they had a similarly positive effect to flaxseed in reducing frequency and intensity of hot flushes. However, because of concerns about side-effects and potentially dangerous interactions of St John’s-wort 28 and vitex agnus-castus 29 , I am not going to recommend them at all. 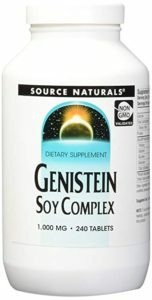 Genistein is an isoflavone 30 that is described as an angiogenesis inhibitor and a phytoestrogen. It was first isolated in 1899 from the dyer’s broom, genista tinctoria, and hence its chemical name. It’s also found in soybeans, lupins, fava beans, etc. Isolating the phytoestrogen genistein from the whole food makes money for pharmaceutical companies, whilst simply eating the whole food itself does not. And whilst I would always suggest the latter wholefood approach, there’s some research on the former “tablet-based” approach which is probably worth mentioning in passing. A 2009 2-year randomised, double-blind, placebo-controlled study 31 split 389 subjects into genistein and placebo groups. They were testing mainly for reductions from the baseline in the frequency and severity of hot flushes. Rather than spend time looking at the isolated isoflavone, we’ll concentrate on soy as the natural whole food source. There’s plenty of research on the safety and efficacy of soy in relation to hot flushes and postmenopausal symptoms in general. Additionally, there’s been lots of debate over the years about the safety of soy in relation to IGF-1 (a cancer-promoting growth hormone involved in the acquisition and progression of malignant human tumours). In order to form an opinion about soy, it would be useful to consult with both Dr Greger and Dr McDougall. “Detrimental: Twelve ounces of soy milk drunk three times a day for one month will decrease a woman’s estradiol 36 and progesterone levels, and her menstrual cycle length will be increased by about four days 37 . These effects may cause infertility and contribute to bone loss. Whilst he doesn’t mention edamame (the delicious immature soybeans taken from the pod – whether fresh or from frozen), they are an excellent way of consuming soy, especially in salads. A 2018 placebo-controlled double-blind trial 45 assessed the potency of a soy germ preparation for the alleviation of menopausal hot flushes in 180 participants. Soy germ extract (100 mg of the soy isoflavone glycoside) was given. Of course, the limited 12-week period of this latter study could not evaluate long-term effects of soy consumption. 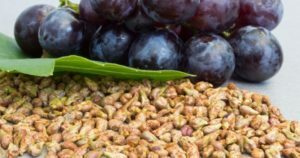 There doesn’t seem to be enough research on grape seed extract to justify any strong claims about its efficacy for treating menopausal issues, including hot flushes; although the impressive results achieved, combined with the lack of any evidence of side-effects or negative interactions with other foods, would probably justify inclusion of it within a dietary plan. Only one study appears to deal with saffron and hot flushes. The results seemed positive and without side-effects or negative interactions with other foods. However, saffron is pretty expensive ($3000/£2600 per kilo 2018 prices 46 and cheaper alternatives might be preferable. Of course, because of the other health benefits it possesses, if you can afford to include it in your daily food plan, why not?! Although danggui liuhuang (DLH) decoction has been used for a long time in Asia for the treatment of a variety of conditions, there’s insufficient research data to draw any conclusions about its effectiveness in relation to hot flushes. It may be wise to stay away from it – even if you could find a supplier – until further research has been published. There’s sufficient doubt about black cohosh to justify caution, whilst taking evening primrose oil (probably best after consultation with a doctor) appears less potentially problematic and has been demonstrated to reduce the severity of hot flushes. 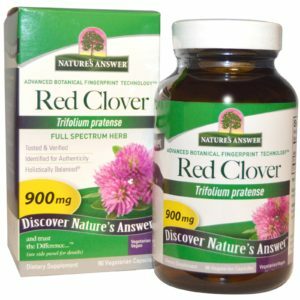 The potential of side-effects with red clover extract would suggest that it should only be used with caution and certainly only after consultation with a doctor. 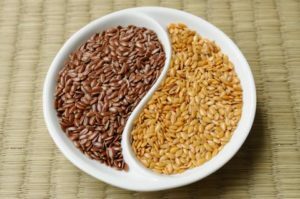 Flaxseed (also called linseed) is such an amazing food, with astounding health benefits 47 , that I recommend consuming at least a tablespoon of ground flaxseeds every day. Its potential for reducing intensity and frequency of hot flushes would would be an added benefit. I would suggest that taking isolated genistein is again only something that should be considered after medical consultation. There are always going to be concerns about extracting bits out of a whole food, concentrating them in a potion and then expecting the body to metabolise them effectively without any side-effects. The same could be said about all the other extracted substances listed above. There appear to be clear benefits of consuming soy as a means of cooling the heat of menopausal-related hot flushes. 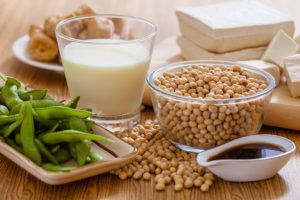 Soy also has also been shown to have many other benefits (such as lowering LDL cholesterol 48 49 50 and postprandial triglyceride levels 51 , not covered in this blog, but covered in great detail 52 by Dr Greger in articles and videos. As a small part of a well-balanced diet, soy in its various non-highly-processed forms seems well worth trying, although any benefits are not likely to appear until after several weeks or even months after regular daily consumption. JAMA. 2002 Jul 17;288(3):321-33. Risks and benefits of estrogen plus progestin in healthy postmenopausal women: principal results From the Women’s Health Initiative randomized controlled trial. Womens Health (Lond). 2014 Nov;10(6):549-53. doi: 10.2217/whe.14.38. 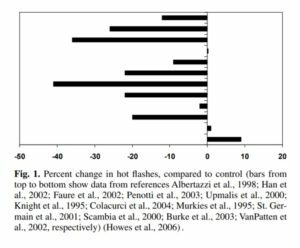 Soybean isoflavones warrant greater consideration as a treatment for the alleviation of menopausal hot flashes. Next Next post: If food comes in a packet, don’t buy it!